Prestigiously set in an ideal position overlooking the long beach of Scala, Villa Costa offers an excellent standard of accommodation. Within its beautiful, landscaped garden guests share exclusive access to the villa's aesthetic swimming pool and Jacuzzi. With only six studio apartments, and all boasting an exceptional sea view, Villa Costa provides serenity, peace of mind and ambience to those residing in its borders. Though set in this idyllic enviornment, Villa Costa is just 500 meters from the resort centre of Scala, offering a wide selection of restaurants, cafes and bars to satisfy almost any taste or preference. Villa Costa ideally suits all couples seeking a superior accommodation in a wonderfully private setting, within the perimeters of a popular tourist resort. A perfect balance, leading to an unforgettable holiday experience. 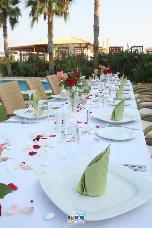 Villa Costa is offered exclusively through Olympic Holidays,within the UK. Είστε ιδιοκτήτης ή διευθυντής στο VILLA COSTA; Εγγραφείτε τώρα για δωρεάν εργαλεία, που μπορείτε να χρησιμοποιήσετε για να βελτιώσετε την καταχώρησή σας και να συνδέσετε την ιστοσελίδα σας και το σύστημα κρατήσεών σας.